Design events like Protospiel have become increasingly common both as stand-alone events and as part of a larger whole. In the last year, Origins, Gen Con (http://www.gencon.com/) and BoardGameGeek.Con all featured “designer alley” or “designer/publisher speed dating” or both. There are playtesting events scattered across the US and Canada.–check the main page at protospiel.org to find one in your area. With so many around the continent, I cannot imagine how any designer could fail to attend at least one of these events. There is a Protospiel event coming up here in Houston is March 13 – 15. Another one right around the corner from ours is in Milwaukee, Wisconsin April 10 – 12. There are even more this summer. How do you get the best results from these events? What are the secrets to success? Let’s take a look. What is the most important thing to bring? What kind of game can I bring? Computer games are extremely rare, however. For those, you may want to look into GDC (Game Designer’s Conference http://www.gdconf.com/) events. How many times will my game get played? How long should I expect each playtest to take? I’m not that experienced at designing games. Will my feedback worth less than someone more experienced? How nice should my prototype look? Keep your focus on core engagement and gameplay. This will impress the people you meet much more than any flashy component ever will. Before we sign off today, much gratitude goes to Gil Hova and Carl Klutzke for their help assembling this list. They are Protospiel veterans and all-around solid people besides. If you’re an experienced Protospieler, what do you do to prepare for playtesting? Do you have a question about playtesting that’s still searching of an answer? Share with your fellow designers in the comments below. And if you’re enjoying what you’re reading, subscribe. You keep reading, I’ll keep writing. A year ago, I wrote my take on the best games to play with non-gaming family. R&R Games donated one of their new releases to a convention in Houston. When I showed it to a friend, he immediately told me how much fun it was. And he was right. Now, Strike a Pose has jumped directly onto my top five list in its category. Let’s take a look at Strike A Pose against these criteria. (A) Can you teach Strike A Pose in three sentences? Yup. A selection of statues has been delivered to a museum. The curator has a list of the statues in the shipment but they arrived unlabeled! We will take turns being the curator, trying to identify all the other statues. (B) Do the components of Strike A Pose teach or reinforce the rules? Yes, with a caveat. The game comes with category cards, number cards and not much else. The main game component (if I may take a little bit of latitude with that term) are the players themselves. Players work to manipulate their bodies into an example of their assigned role. When we include the players themselves in the component list, I would say that the components do reinforce the rules. (C) Can you teach the Strike A Pose victory condition in one sentence? Easily. Each round, the curator and each correctly identified statue get points. Like many of the best games of this type, the real victory lies in simply having fun. In none of my plays have we actually kept score. We simply had a blast. (D) What is the dexterity element in Strike A Pose? In our effort to strike the best poses, we often found ourselves in ridiculously contorted positions. And we had to hold these positions. The Strike a Pose subgame is trying to figure out what each other player is modeling, all while holding your pose. And did I mention that gaming doesn’t really do much for the core muscles? Strike a Pose may actually be a new form of yoga disguised as a game. I’ve played Strike a Pose with three different groups so far. In the last session, we roped in players simply by handing them a card and telling them the object. There was angst and victory. There was success and sorrow. There were straightforward poses and there were contorted poses to do Escher proud. 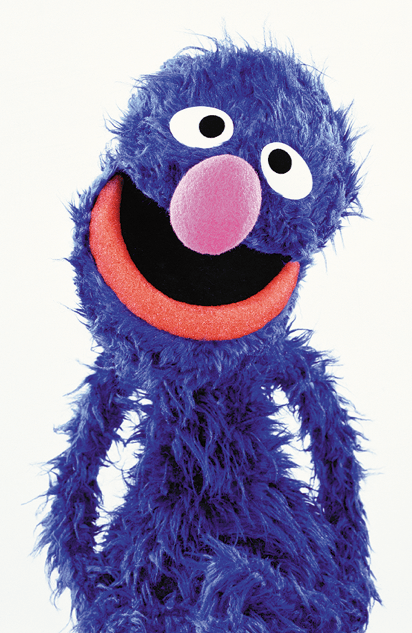 And who would have thought that one of our group was a dead ringer for the muppet Grover? In all, Strike a Pose is fun. And that’s all we ask of a party game. Have you tried Strike a Pose? What do you think of it? What’s your favorite game for non-gamers? Why? Share with your fellow readers in the comments below. And if you’re enjoying what you’re reading, create an account with WordPress and follow this blog. If you keep reading, I’ll keep writing.